Colorado’s Front Range is located in “Hail Alley,” meaning it receives the highest frequency of hail in North America. In the 1830s, visitors at Bent’s Old Fort would make the most of storms by catching the hail in a mason jar and mixing the cocktail that eventually became known as the Hailstorm Premiere Julep. Since the day Samuel and Bay Arnold opened The Fort in 1963, the Hailstorm Julep has been a staple on our cocktail menu. It was originally made with Monongahela whiskey from Pittsburgh or a wheat whiskey from Taos. 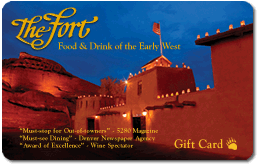 At The Fort, we use a variety of whiskeys or cognac for this drink, depending on the preference of our guests. Try making it for yourself at home during the next inevitable Colorado hailstorm. 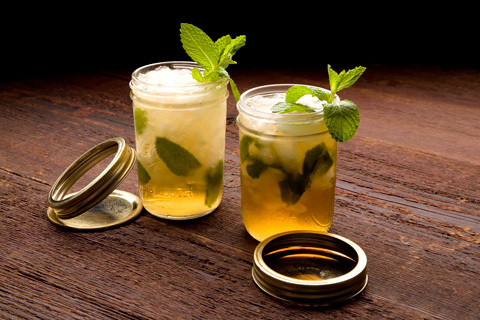 Mix the alcohol, sugar and mint in the jar before filling with ice. Secure the lid and shake vigorously. The ice will bruise the mint in order to release its flavor. Once well shaken, remove the lid and, drink from the jar and enjoy!